I finished two books in this time period and that was my true main goal. 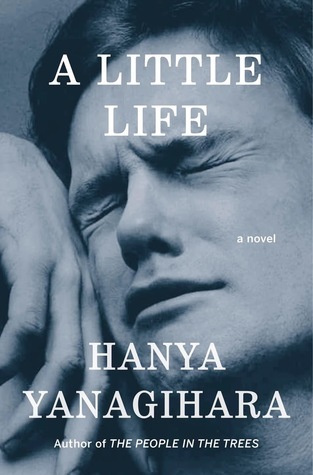 On our Asheville trip I'd started A Little Life by Hanya Yanagihara and I was anxious to finish it. The book brought out a lot of emotions and mixed feelings for me. Her writing is brilliant and I can see why it's the talk of the town. I loved how deeply she explored the idea of friendship. The entire book revolves around four roommates, Jude, Willem, JB, and Malcolm, that form a bond so tight that it lasts throughout their lives. Hanya gives us different perspectives through a few alternating chapters but Jude takes center stage. If you haven't already read this I want to leave Jude's character unexplained and even though I had a few criticisms of the Hanya's story I would encourage everyone to read this book to the end. Don't be frightened of the 700+ pages- you will turn the pages quickly and you'll be halfway through before you look up. When I finished on Sunday morning I cried a little and then danced a little. I picked a much easier book for my second read for the weekend readathon. Stella by Starlight by Sharon Draper. I love the cover; oddly the cover on my library copy is very different-it shows a more modern-looking Stella-which doesn't fit the era. In Bumblebee, NC Stella and her brother witness a cross burning across the pond very near their black community. FDR is about to be elected and a few members, including her father, want to register and vote for the first time. Stella is asked to make the journey into town to go with them. Of course they are treated unfairly, have to pay the poll tax and take a test while several white men wander in and only sign their name to a piece of paper to register. The KKK strikes out and burns a house right down the street from Stella's house. The community bands together to help and are surprised when several of their white neighbors come out to help. I thought the civil unrest brought out in this book are not properly finished. The book ends with a Christmas pageant but no finish to the voting unrest or the KKK. I did enjoy Stella's quest to be a better writer and thought it probably reflected a bit of Sharon Draper's own story. 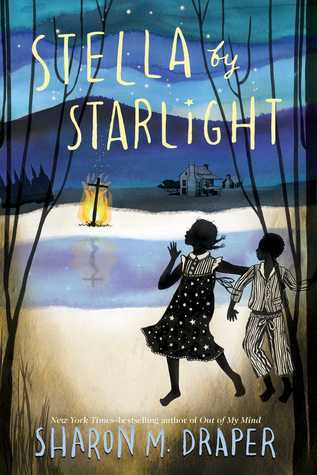 This is still a worthwhile story and can serve as an introduction to young readers (3rd-6th grade) of how difficult the civil rights journey has been and continues on today. I really enjoyed participating in the #24in48 readathon sponsored by @Litsy. I'm happy I had the weekend free and even though I didn't get in 24 hours I did complete two books. And now I'm reading New Kid by Tim Green. I have to balance in books from school with other books I'm interested in reading.